Welcome, welcome, welcome, to our very first blog post. You’ve probably noticed that it’s sitting on a shiny, new website, with jazzy new branding. And this has all been quite some time in the making. We’ve spent the last few months reviewing our growth, development, and plans for the future, using them to inform our first proper marketing plan. And a crucial part of that plan was to refresh our branding. We wanted to reinvigorate our look-and-feel, so it reflected our energetic approach to content protection, our enthusiasm for supporting creators, and the frank, friendly way we work with our clients and colleagues. And we wanted to stand out too, of course. We’re not a faceless, corporate organization, and we don’t think our website, emails, or Powerpoint decks should be bland and corporate either. Before we get carried away, we want to acknowledge the people who made all of this possible: our clients. Without them, and their support, we obviously wouldn’t have been able to grow as a business, but we’ve also enjoyed working with each and every one of them. We pride ourselves on the relationships we build, and we’re lucky enough to have incredibly rich, fulfilling relationships with our clients in particular. 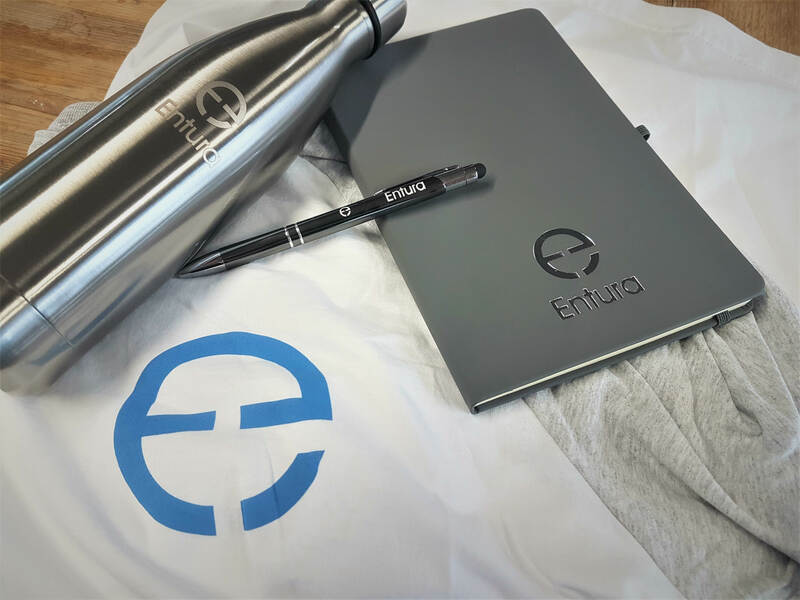 So if you’re an Entura client, and you’re reading this, thank you. Some of the insights we share will make their way onto this blog, but for those who want to learn more than those online titbits, please get in touch. We’ve got a buttery-smooth contact form waiting for you. And if you play your cards right, there could be some sweet swag too. But for now, keep an eye on the blog to learn what’s going on at Entura Towers, what we think about issues like building company culture, and to catch a glimpse into the research we’re doing around content protection and anti-piracy.